An app your clients will love. Travefy makes it easy to give your clients a mobile app to view their itinerary before and during their trip. 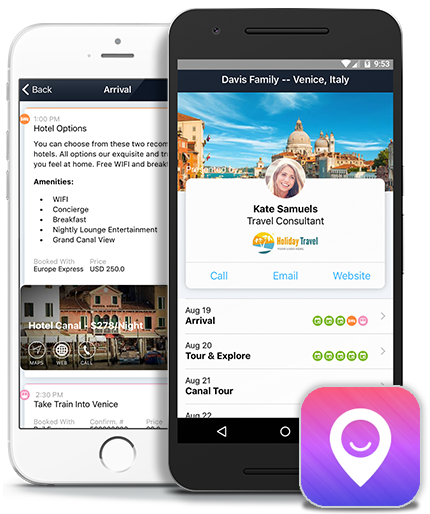 In addition to online and PDF versions of your itineraries, you can also deliver itineraries to your customers via Travefy's unbranded "Trip Plans" mobile app. We left it unbranded so that your logo and contact details are in the spotlight. Made for Android and iOS, these fully native apps are simple and easy to use for clients and allow them to access that trip plans offline. 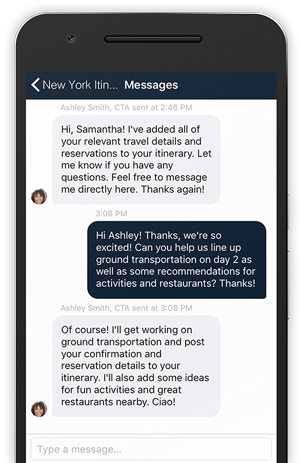 Give clients their itinerary with full offline access to their travel plans all in one professional app. Take your service to the next level with integrated cient communication tools. Chat with clients simply and conveniently through the app. Click on this app demo to explore the Trip Plans app that your clients can download for free to view their itinerary and chat with you. 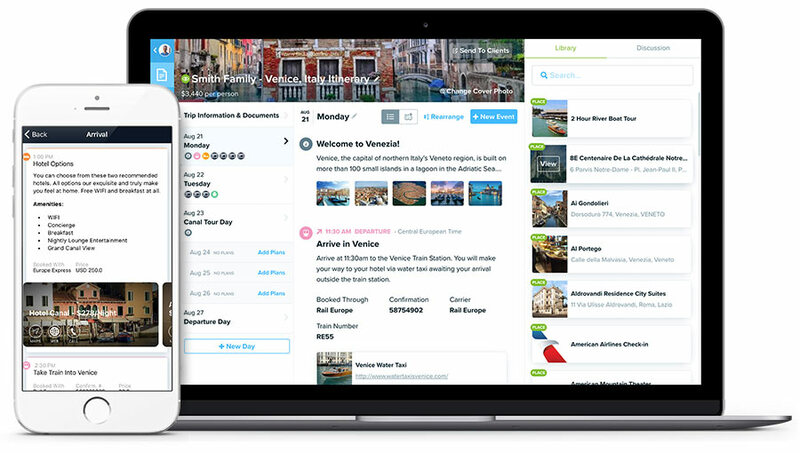 Use Travefy Professional to build beautiful itineraries, trip plans, and quotes. If subscribed to a Plus account, when you click "Send to Clients", simply choose the option to send your customers an email with a download link for the Trip Plans App for Android or iOS. It's free for your client to download the Trip Plans App. And once installed, they'll have offline access to their beautiful and professional itinerary right from their phone. And don't worry - any changes you make to their trip update automatically.